Today, Eon Productions and MGM sent out a four-sentence press release announcing that the next James Bond movie will hit UK theaters on November 8th, 2019. That’s it. There was literally nothing else. That’s weird... but it’s also telling. For what feels like ages at this point, there have been rumors that the current Bond, Daniel Craig, is considering leaving the franchise after playing the character for the past nine years in four different films. It’s understandable that Craig might want to pursue new projects after such a long commitment. But despite many a call from fans for Eon and MGM to consider recasting the role (hey, Idris! ), there’s been virtually no news about Bond’s future up until now. It was always safe to assume that there’d be another Bond film. 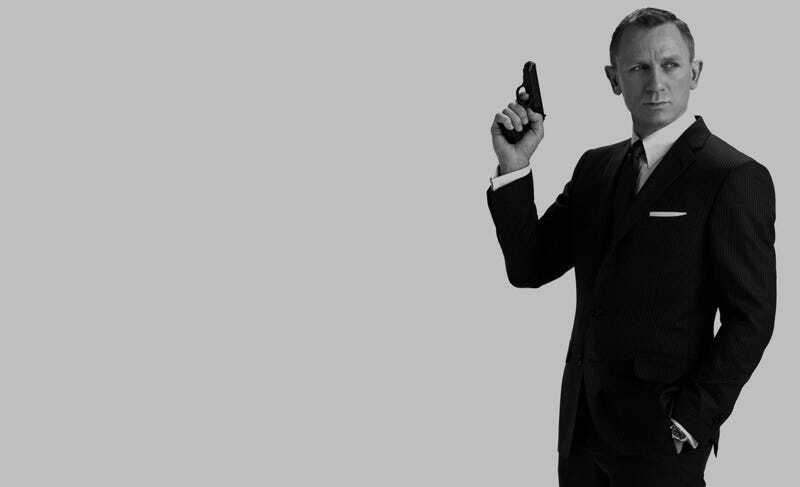 But today’s announcement of a date before any news of a director, cast, or crew more than strongly suggests, at the very least, that the next time we see 007, he’s still going to look exactly like Daniel Craig because he will be Daniel Craig. Though the 25th Bond movie is still more than two years away from hitting theaters, in terms of a time frame for announcements, giving the public a specific date without mentioning who’s making the movie suggests that Eon and MGM plan on sticking with Craig for at least one more film. While casting a new Bond would be more than fine, that’s the sort of major change to a franchise that one imagines the studios would want to get people into the idea of as soon as possible. To be fair, there’s still a chance that Craig won’t be returning and that Eon and MGM are simply willing to wait on making any sort of announcement. But at this late stage in the game, it seems doubtful that they’d take a gamble that large on one of their flagship franchises. Update: The New York Times is reporting that Daniel Craig will, in fact, return to play Bond in 2019 citing sources close to the production knowledgable about information regarding the project that has yet to be announced.